According to some threads on the Xiaomi Mi 4 forum found at Xiaomi's MIUI website, Indian users of the handset are finding that some of the pictures taken with the handset's rear camera contain a yellowish tint. More specifically, this tint appears on pictures taken indoors with the flash employed. The 13MP camera features an aperture of f/1.8 which means it should take quality pictures even in low-light conditions. The Xiaomi Mi 4 users with this issue bought their handset from online retailer Flipkart. For the most part, the general attitude toward Xiaomi appears to be one of frustration and anger, although it isn't clear if any of the posters has actually been in touch with the manufacturer to complain. In the slideshow, we've included some indoor pictures taken with the Mi 4's camera using flash. We also included a comparison photo taken with the Xiaomi Redmi Note so you can clearly spot the problem. Hopefully, Xiaomi becomes aware of the issue and can fix this with a software update. Thanks for the tip, Anoop! Only cheap chinese phone? R u sure? "purple haze camera issue" means nothing to u......? According to report much cheaper Redmi Note doesn't have same problem. well i will get Nexus 5 or Xperia z ultra or lumia 830 over this s**t anyday .. Uh, looks like a white balance issue or something similar. Seriously, are we supposed to be up in arms about this? I thought it was like a yellow blotch like the Sony phones. The whole photo has more yellow to it. Could help if we saw flash vs non flash, not one vs another phone. Stupid headline. Could it be just a defective Mi 4 or is it a widely known problem? 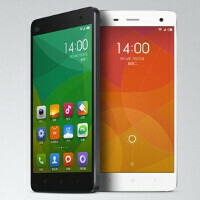 Either way i am more interested in how XiaoMi choose to handle the user complain. Remember how Apple deal with user complaint over the purple tint over sunlight. Apple comments is all smartphone will have such issues under the same condition. So what is this yellow tint again?